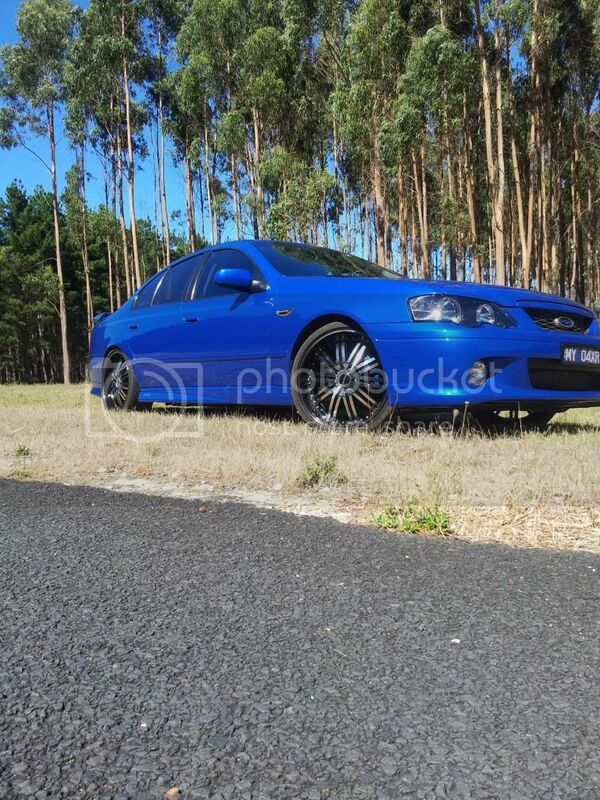 Picked up this 5 speed au XR6 the other day for $2500! Put some 19" speedy cheetahs on it, took the spoiler off it and replaced the SL springs in it with ultra lows and yeah. getting the windows tinted tuesday afternoon and that will probably be the last thing i do to it for a while! Might chuck some extractors on to complete the exhaust system(has a 2.5" catback) if i can find some cheap, but not in any real rush! Looks wicked mate, Awsome buy for 2500! Ford falcon au sr 2001! I never got to post an image of Lucifa so I will add this one instead. If you look at my thread in the Garage you will be able to see what I have done to the beast. Looks great on the f series XRs. Nice unit you have there Rick. The previous owner (Dad) hit a roo and replaced the bonnet with the Boss equivalent and front left quarter panel with a black pair which I've recently had painted. haven't done anything else with it yet, but I'm excited to do stuff over time. No, it's not a V8.